Ferrari McSpeedy is high-speed sketch comedy and long-form improvisation. Performing on Friday, June 3rd 2016 at 11:00pm. GET ADVANCE TICKETS FOR WEDNESDAY VIA TICKETLEAP! 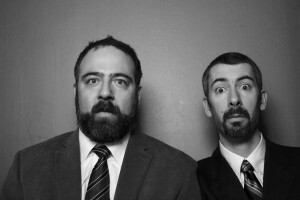 Ferrari McSpeedy is a sketch comedy and improv duo based in Minneapolis, MN. Since 2001, Ferrari McSpeedy has been entertaining and/or alienating audiences with their high-energy, emotionally-charged improv and sketch comedy.